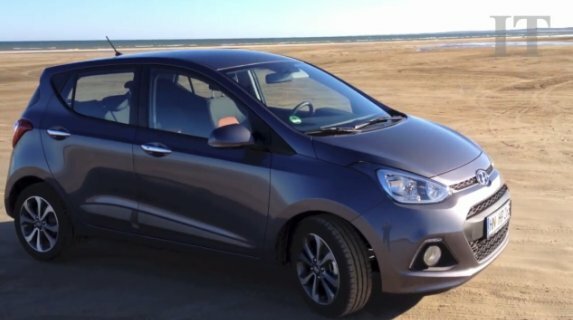 Hyundai i10 Review - More Refined Than Rivals! Home > Hyundai i10 > Hyundai i10 Review – More Refined Than Rivals! Hyundai has been making a major effort to make an impact in the European market by making drastic changes to their model range in the past few years. The lineup includes sedan’s, crossovers and SUV’s, all with a modern styling and warranty package that makes each of them on a par with anything the Japanese or Europeans have to offer. 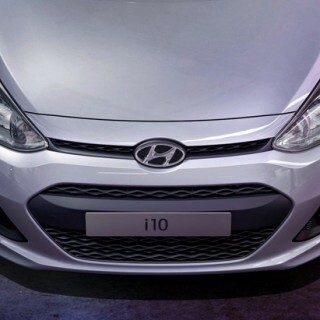 With all of that said, the new Hyundai i10 may in fact be the most dramatic chenge in what the Koreans have introduced since the arrival of the i40. Hyundai seems well aware that this is a crowded segment, with the likes of the Citroen C1 and VW Up vying fo customer attention. In order to stand out from the crowd, they have made the i10 a sleek looking little compact that is a whole lot more than just a pretty face. Where the Hyundai i10 stands aprt from all the others in this category is that it is bigger and more refined that any other car in this segment. You only have to spend a little time behind the wheel to see just how wonderful it is to drive. The 85-horsepower 1.25L four-cylinder engine that you find under the hood of the i10 5-door hatchback may not be the most powerful engine out there, but it is certainly more than enough for what the vehile is designed for. This is a car that is meant for city driving, not flying up the hoighway with a ton of power rushing you along. According to Irishtimes, the 5-speed manual transmission that comes standard makes changing gears a cinch, even when you are forced to do so regularly in city traffic. Besides the smooth handling of the i10, it also possesses elements that you wouldn’t ordinarily expect to find a value priced vehicle. The use of quality materials on the inside further proves that the i10 is a car that is designed to look great from every angle. It almost makes you wonder if Hyundai are creating a vehicle that is on a par with the larger, more refined i20 hatchbak, which is in the process of being replaced. Sure, the i10 is smaller, but it feels like a larger car, albeit in a very good way. Hyundai understands that street cred does not necessarily make a car, which is why they have chosen to simply give people want they want in a car, rather than worrying about things that are pretty much out of their control. They know that when word get out about what you get with the Hyundai i10, which we are sure it will, customers will line up to get a great car at an even btter price. The Audi A1 is a car that fell prey to trying to build street cred, only to fall flat because of the €20,060 price tag attached. The i10 is not in the same realm as the A1, but the €12,000 starting price is sure to make it an istant hit with those looking for a great car at an affordable price.